If I could go back and change a few things about my two separate visits to Ireland, one would have to be, making sure I toured more of their whiskey distilleries, to include Connemara. 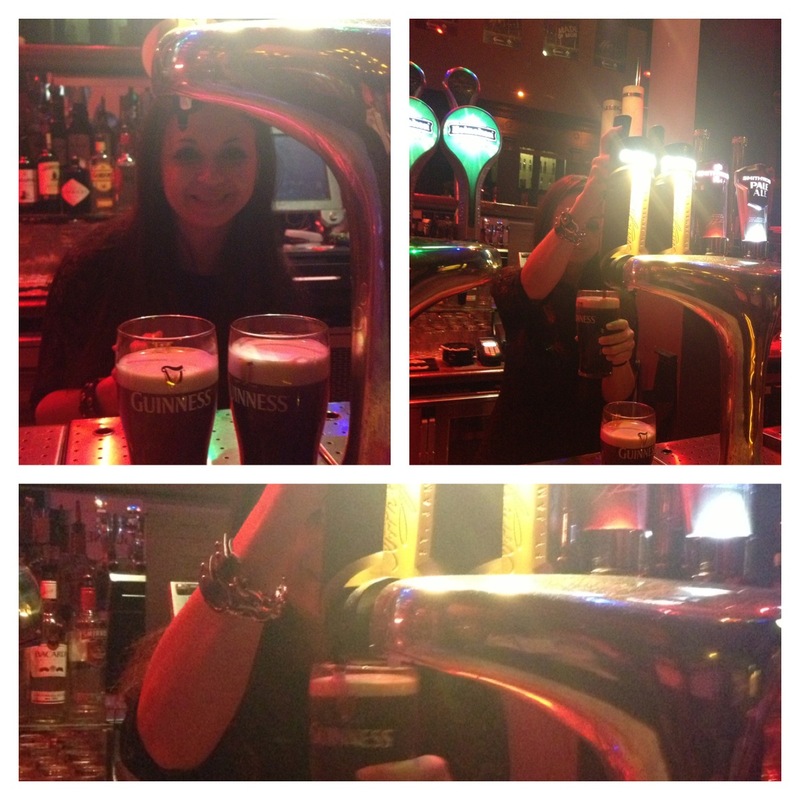 What I did get a chance to do while I was there was learned how to pour a perfectly good Guinness at an actual pub in Dublin. Below I will share a picture of my pouring experience in Dublin. The good thing for you all is that you won’t need any lessons here; it is easy to just open a bottle of Connemara, pour and enjoy. Before writing this post I got a chance to enjoy a dram of Connemara with my brother this very week as we celebrated his birthday. It was a great thing because I’ve wanted to write about this whiskey for quite some time now, so I’m glad I am finally writing about it. Also, I feel I enjoyed this past week’s dram more than I did the very first time I tasted it. This heavily peated single malt whiskey is aged in American oak casks and it is double distilled in 2 small pot stills. It has an ABV of 40% and if you were to purchase it would cost you about $35-$50 depending on where you buy. Their range includes cask strength, a 12 year old, a single cask and a Turf Mór which according to the Connemara website is the Gaelic word for Big Peat. Taste: I first got hit with a peaty and smoky taste but that was soon followed by a nice sweetness. This whiskey had nice legs on the dram glass and was extremely smooth. My first experience with this whiskey was on the rocks. I’ll be honest; I didn’t enjoy it on the rocks but absolutely LOVED it neat. The combination of peat and sweet makes for a perfectly good balanced whiskey. If you are not a fan of peated whiskies, then this may not be the whiskey for you as it is heavily peated. It would also mean that you should probably stay away from the Turf Mór. Out of all the Irish whiskies I’ve tasted, Connemara is unique in the fact that it is the smokiest one out there. 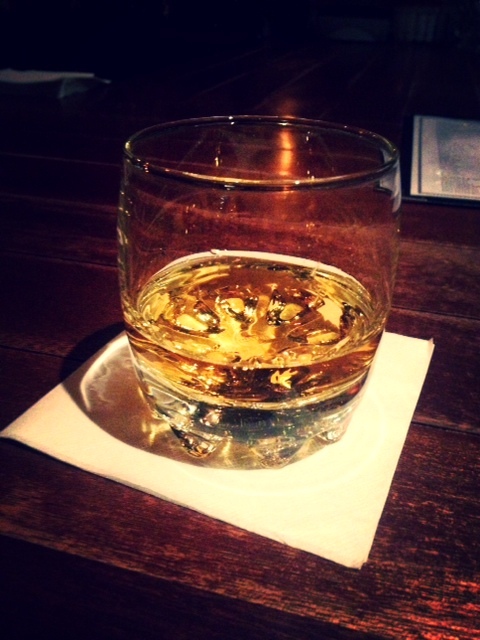 It did remind me of a few smoky scotch whiskies I have come to love. My brother will not turn into a whiskey drinker over night but he did enjoy this Irish whiskey and I think you will also. So if you’ve tried it and enjoy or didn’t let me know what your thoughts. As you can see my Guinness pouring process below, with Connemara all you have to do is pour and enjoy that great smoky peated taste. hey your page looks awesome! I love it! Interesting to read an inexperienced review of this wonderful whiskey. 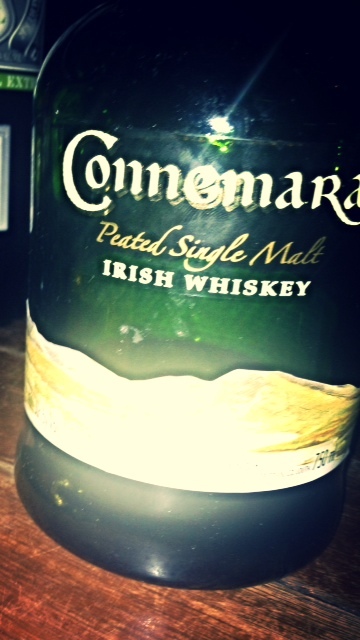 First of all Connemara is NOT 'heavily peated' but 'lightly peated' with a very smooth smokey and sweet toffee aftertaste. Only in Scotland can you find heavily peated whisky and some are so extreme that they can only be described as 'medicinal'! Thank you for your comment. It really is refreshing to hear someone else’s opinion. I am in complete agreement with you, it is a wonderful whiskey! I believe that everyone has a different experience with the whiskies they taste. I certainly don’t expect everyone to agree with my opinion/taste, especially since everyone's palate is different. So, thank you again, I completely appreciate you giving me your input and take on this wonderful whiskey. Cheers! This is why whisky drinkers are consider snobs that rival the craziest wino's in the F&B industry. A bartender could serve the same dram to 10 people and he or she will get 10 different responses. No palate is the same.I love my Islay whisky's (which define peat and smokiness) and personally can't stand Connemara (as to me) it comes off as medicinal and lacking depth.Anybody can read the back of a box. Few take the time to enjoy and decipher what it is their actually tasting.Also, those who don't have the spine to sign their name to what they pen should stay in the shadows with the rest of the cowards.